Regular readers know that I love the Edinburgh Festival Fringe. Going to Edinburgh feels like restocking the larder. I come away having seen a raft of work I probably wouldn’t have done otherwise. It feels like a glimpse of the future of British theatre. 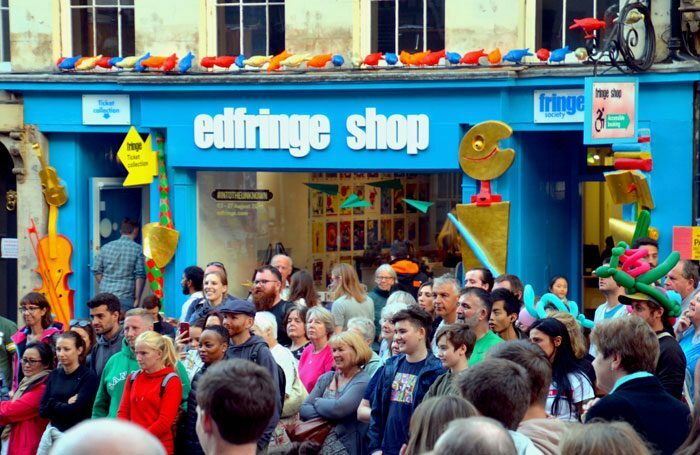 We all know that many are excluded from the fringe because of the costs of showing work there. Those who do manage to make it to the festival often self-exploit to an alarming degree. There will be plenty who are still paying off debts incurred from last year’s festival. If they secured reviews and interest from programmers and producers, they may feel it was money well spent, but for many it won’t have been. If you are lucky enough to be able to afford it, Edinburgh clearly offers opportunities for artists to get their work seen. It is one thing for an artist to willingly self-exploit, but it is quite another for success to be built on the exploitation of those working for venues in non-creative roles during the festival. That’s an extract from one of the testimonies in a report on the conditions of those working at C Venues published last month by Fair Fringe, a campaign aimed at improving the wages and working conditions of those working during the festival. It is widely known that Edinburgh landlords get rich, the university rakes in profits from renting out space and its money-spinning bars, and baby boomers buy tickets. And this is all done on the backs of artists who pay to play. But it turns out it isn’t even the artists who get the worst deals, but the workers at some venues who tear tickets, provide administrative service, help with making and dismantling spaces and work long shifts for little recompense while housed in inadequate accommodation. We need to be clear, this is not all venues – many offer good employment, a great experience and it is why people are happy to return year after year. But bad behaviour needs to be called out and addressed. There has long been disquiet about the inequalities of Edinburgh but change requires strong leadership. As we have seen more widely in the move towards diversity in British theatre, change often bubbles away at the grassroots, but it requires great leadership to bring about real cultural change. It is easy just to wring your hands and do nothing. It is, but that has to include the problems and challenges of workers, not just those of the venues. Being a “hard-working cultural practitioner” doesn’t mean you have licence to exploit poor young people. McCarthy is probably right that one size doesn’t fit all, just as it doesn’t on the London fringe, but, there is a difference between saying those who point out the deficiencies in any model are “aggressive” and trying to ensure all models treat workers fairly. Thankfully, in the face of growing criticism, McCarthy has modified her response, issued a statement on the fringe website and invited Fair Fringe representatives to a meeting of venue managers to “explore ways forward”. The University of Edinburgh has been more proactive. After a review into “terms and conditions around staff employment” it will no longer rent Adam House on Chambers Street to C Venues. They must, because if the fringe wants to remain the biggest and most exciting arts festival in the world it needs to acknowledge that it has to change as the world changes around it. A younger generation of theatremakers are more alert to the inequalities of an industry where the most privileged thrive at the expense of those trying to get a foot in the door. Who wants to win a Fringe First or get a transfer to a London theatre knowing your success has been built on somebody else’s exploitation?